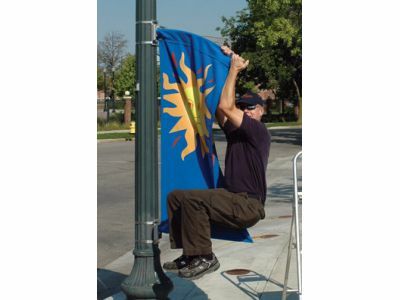 “Communities are increasingly using light pole banners to add excitement and community spirit to events and occasions. Yet many communities in high wind and hurricane zones face challenges using banners due to risks of light pole damage from the extra wind resistance created by large banners, in addition to worries of damage to the banners themselves. 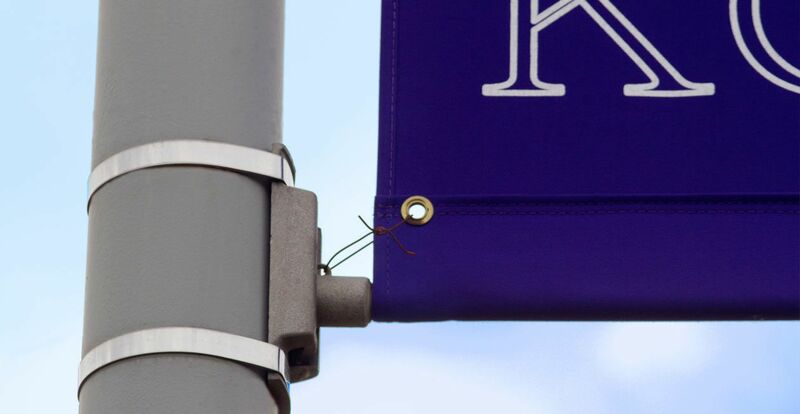 While some neighborhoods find various forms of outdoor advertising amongst the debris following large storms and hurricanes, towns and shopping centers that use the KBWBannerFlex have not only saved time from clean-up, they have saved money. To learn more about the streetlight banners available from BannerFlex or to discover how they can help you promote your event, business or organization, browse our online catalog. If you would like additional information, please feel free to contact us via our contact page.